Carlota launched her own company, Rusticae, at the age of 20 after running a small charming hotel in Asturias for more than a year. Rusticae is a prestigious brand with 20 years of experience representing a curated collection of the finest small boutique hotels in the Mediterranean & Latin America. A customized commercial platform for independent small charming hotels and a trusted brand for end users based in Madrid and Santiago de Chile. With more than 300 hotels in 16 countries, Rusticae has achieved a wonderful brand recognition not only for its current prestigious and exclusive image in the mind of consumers, but because it has been a brand that has had a major impact on tourism development of inland Spain, and because it has been able to articulate a structural change in the economy on those territories which 20 years ago were only agricultural and now have quality tourism as a major key development agent. 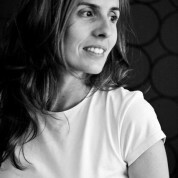 Carlota has a strong commitment in many other fields beyond her business. Worried about the environment, she launched in 2011 the “Portable & Sustainable Suite” to demonstrate the building industry there were other formulas to develop building projects less aggressive for the planet. She also cared about the generational replacement for the small hotels sector by creating with the UEM University a “Small hotel management master degree” in 2004. She invests an important part of her time supporting and mentoring many Spanish entrepreneurs and spreading her knowledge as she has become a regular speaker on entrepreneurship, Sustainable Turism and Gender Parity. "It is not exaggeration to say that a great teacher is one of the best gifts you can have in life... So, so honoured to be close to the Global Teacher Prize project."